One of the not so commonly used but a compelling feature of SuccessFactors Learning Management system (LMS) is the training planner. In our last deployment at a client site, the client was looking at options to forecast and manage training costs and have the ability for the training planners to distributing training budget across different departments/organizations. We deployed SuccessFactors training planner for the client. Allows organization’s to assign budgets to organization units. Once the review is complete, the training manager set the flag “Review completed’ for a particular organizational unit. 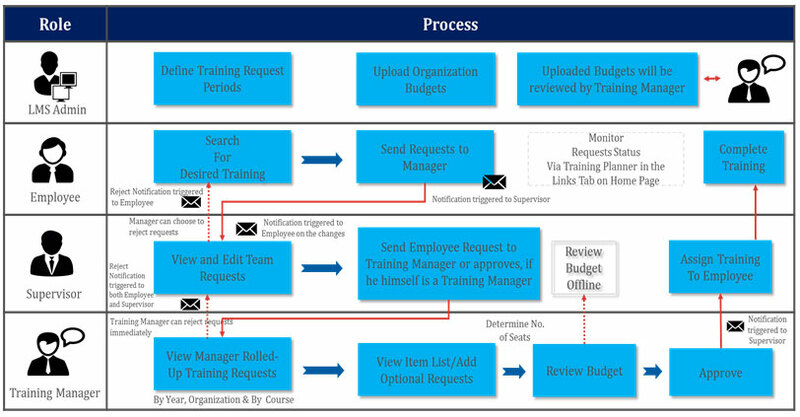 Training planner is a very comprehensive and robust tool that provides the organizations the ability to manage training budgets. IT involves all key players for training and ensures visibility and comprehensive planning capabilities. In the next part, we will go over the configuration, notifications and reporting aspect of the Training planner.